The William Faulkner – William Wisdom Creative Writing Competition is sponsored annually by The Pirate’s Alley Society, Inc, a non-profit literary and educational organization. Overall goals of the competition are to seek out talented writers and help them improve their work, assist them in finding literary agents and, ultimately, help them find publishers for their work. Our competition has been in continuous operation since 1992 and has a successful track record of selecting publishable winners. The track record has created respect for our competition among literary agents and acquiring editors for publishing houses. Among the Faulkner – Wisdom Competition’s well known discoveries are National Book Award winner Julia Glass and fiction writer Stewart O’Nan, who has published 19 books of fiction since winning the Society’s first gold medal for novel. Ladee Hubbard, who judged the novel category for 2018, earlier won the Society’s gold medal for short story. Her stories have been widely published and she won the 2018 Ernest Gaines Prize for her debut novel, The Talented Ribkins. New York Times bestselling novelist M. O. Walsh, 2018 Novel-in-progress judge, won Society’s gold medal winners for Novel-in-progress, the completed version of which was published as the bestselling novel, My Sunshine Away. Fiction writer Moira Crone also has twice been a Faulkner Society gold medal winner, first for short story, which was published as the title story of her short story collection, Dream State, and then for a novella, which was expanded and published critically acclaimed novel, The Ice Garden. The widely published poet Peter Cooley, judging poetry this year, also is a Faulkner Society gold medal winner. We are proud of the fact that most of our winners not only have become published but that they remain involved with the Faulkner Society, contributing their time and talent as competition judges. Two renaissance men of literature, John Biguenet and Rodger Kamenetz, who have been stalwart supporters of and participants in Faulkner Society projects for 20 years, judged Short Story and Essay, respectively in 2018, while Society Zachary Lazar judged the narrative non-fiction book category. Zachary is author of the just released new novel, Vengeance, a brilliant and powerful book critically hailed as a seamless hybrid of imagination and reality, fiction and non-fiction. In addition to Nobel Laureate William Faulkner, the Faulkner Society’s namesake, the competition is named for literary scholar and collector William B. Wisdom of New Orleans, who amassed a significant collection of memorabilia related to William Faulkner. His collection is housed today in the Library of Tulane University. 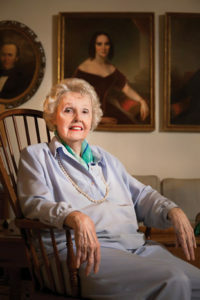 Mr. Wisdom’s daughter, New Orleans attorney and philanthropist Adelaide Wisdom Benjamin, was among the earliest supporters and board members of the Faulkner Society. She was an instigator in the creation of the competition and arranged underwriting for the first prize for Best Novel. Later, Mrs. Benjamin created the poetry prize and underwrote it for several years. She was a trustee of The Mary Freeman Wisdom Foundation, which has been a long time supporter of the competition, Mrs. Benjamin was among the first to receive the Society’s ALIHOT (A Legend in Her/His Own Time) Award for community service and philanthropy. A competitive talent search open to all writing in English, the William Faulkner – William Wisdom Creative Writing Competition is for previously unpublished work. Self-published and print-on-demand books are considered published if more than 500 copies have sold. Books, stories, essays previously published in their entirety on the Internet are considered published. Entries are accepted now in nine categories: Novel, Novella, book-length Narrative Non-Fiction, Novel-in-Progress, Short Story, Essay, Poetry, Poetry Collection, and Short Story by a High School Student. Collections are excepted in novel and narrative non-fiction book categories only if the individual pieces are linked together by place or characters. Collections are not accepted in any category. Spell Check. Some entries we receive obviously have never been run through Spell Check. Spell Check is just a beginning, however, as it is impossible for Spell Check to catch such errors as “where” instead of “were” or “there” instead of “their” or incorrect spellings of names. Once you have used Spell Check a couple of times, do it again. Third Party Editing. After you have spell-checked, then have two or three educated readers, people you trust, read the copy for typos, grammatical mistakes. Then Spell Check again, as mistakes often are made while correcting mistakes. We do not correct your manuscripts prior to submitting for judging. Watch Your Titles. Competition judges and, ultimately, editors and agents, are confronted with titles as their first impression of a manuscript’s worth. One mistake writers make frequently with the titles they choose is to plagiarize a title from another work of art, such as selecting Heard It On The Grapevine, which is a direct steal from the hit song of that name. There may be a reason in the writer’s mind for using such a title but it indicates a lack of imagination to a reader not yet privy to the contents of the manuscript. Other Important First Impressions. Professional readers, such as agents and literary editors frequently read the first couple of chapters and the ending before deciding whether they want to invest more time in a manuscript. They know that readers looking for a new book to read frequently do the same thing. So, concentrate especially on strong openings and endings. A weak opening means a manuscript will not meet our general guideline of “ready for publication.” Ditto, a poorly constructed ending to a story. Imagination Versus Reality. There are perfectly marvelous stories based in reality and perfectly marvelous stories totally imagined. If your setting is imaginary, you can name a street and locate it within your imaginary city or town however you like. If your story is set in a real city or town, however, making up streets or having them run the wrong way or in the wrong part of the city are no-nos. Getting facts wrong about an historic incident or personage is another egregious error. Characters and Voice. A common failing in manuscripts which are rejected in our competition is the lack of a compelling central character and/or lackluster secondary characters. Take a close look at your characters. Is there a strong reason for a reader to take the time to become embroiled with your characters? Get a reaction to your characters from several third party readers. If these readers don’t “love” your characters, go back to work. Select a voice approach and be consistent. If switching from the voice of “all-seeing , all-knowing God” to the “ordinary mortal,” a difficult task to achieve successfully, make it clear that a switch has occurred so the reader is not confused and does not lose the story line. If first-person voice is the approach selected, then make certain that voice can pull the reader into your story. If the central character is sufficiently compelling, his/her voice can carry a storyline. Setting the Scene. If you are writing a scene set in a place you personally have never visited or a time before your own, your research had better be first class. Nothing is more disturbing to a reader than realizing that the author does not know what he/she is talking about. Beyond the simple fact of accuracy, however, is the writers’s job to conjure a scene so vivid that the reader feels transported. Too many manuscripts we received are more like first drafts of TV screenplays, which could not possibly transport without accompanying visuals and audio. These are just a few tips on basic editing to help you with your entries. We suggest you have a professional editor look at your work prior to entering if possible; if not, a friend who is an avid reader. For 2019 Competition Guidelines, Click Here!